This is an easy and cute kit. 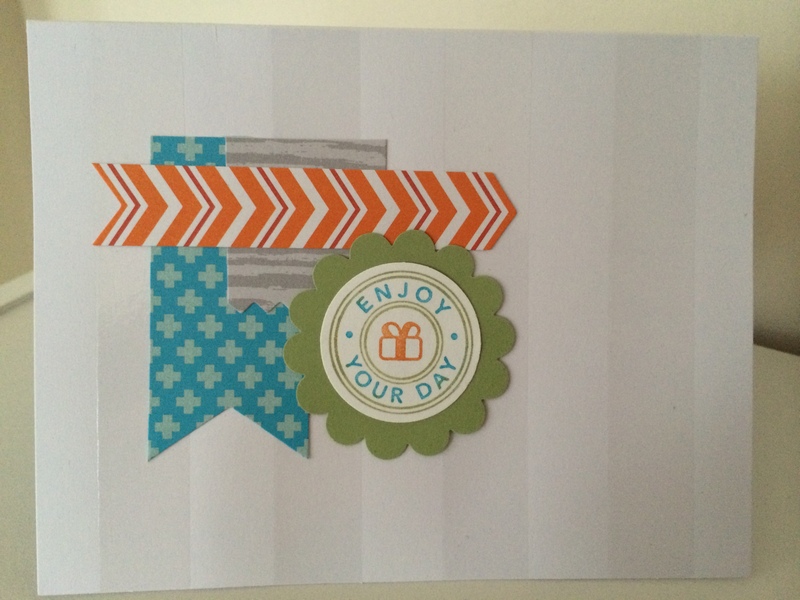 I didn’t notice in the catalog photo, but the stripes on the card are glossy. It was a lovely surprise. I used the dimensional adhesives on the blue banner instead of the stamped element because the paper clip kept the banners from laying flat when used without dimensionals. The Birthday stamp is from the Postage Collection Hostess Set. Colors: Tempting Turquoise, Pumpkin Pie. Here’s a variation I made by adding some goodies from my stash. The stamp is from a retired set and is colored with markers. The Pear Pizzazz scallop is 1 1/4″. 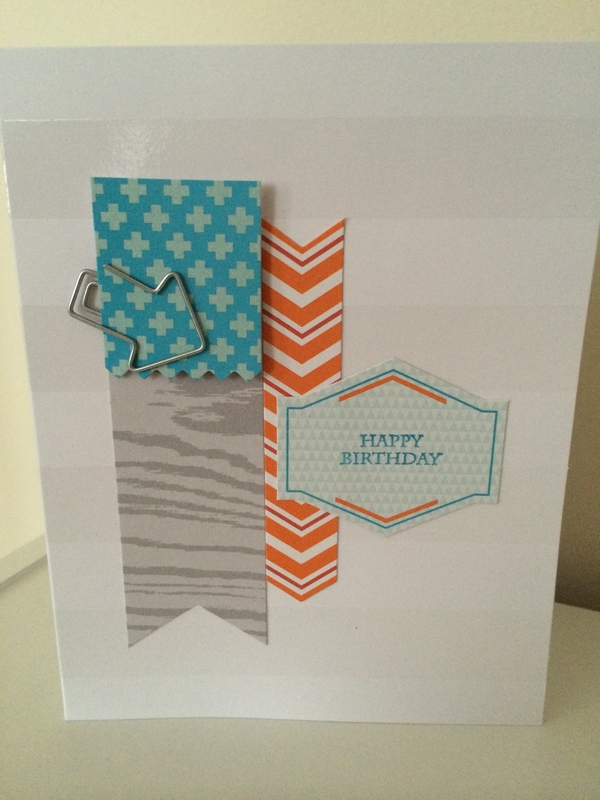 Note: This kit includes card bases, envelopes, paper clips, and the blue, orange, grey, and “hexagon” elements as pictured in the first photo above. The green scallop was an add-on from my personal stash. The text is not pre-printed. You will need to provide a stamp and ink to complete the cards.